The first time I visited Venice as a wide­eyed teenager, I knew I was supposed to buy Murano glass, but I had no idea why. All I knew was that I was whisked to the famous “glass island” on an overcrowded, stinky boat. I waited behind two dozen American and Japanese tourists to pay an exorbitant price for a little glass fish—what a bewildering experience! Still, it was the artistic traditions of the world that lured me back and inspired me to study the great artists of the past. Living in Europe and Latin America, I realized that in many places, centuries ­old craft traditions are still living traditions. So began my quest to discover craftspeople passing on a special kind of knowledge to the next generation. I never tire of the stories and the people behind the world’s most enduring artistic traditions—everything from Murano glass to Limoges porcelain, balsamic vinegar, Chinese silk and cowboy boots. duty. 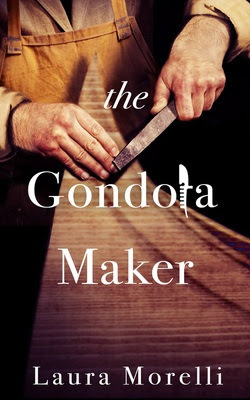 The characters of the gondola maker and his heirs began to take shape. The story intrigued me so much that I felt compelled to write about it. In 16th-century Venice, the heir to a family boatyard rejects his destiny but is drawn to restore an old gondola with the dream of taking a girl for a ride. 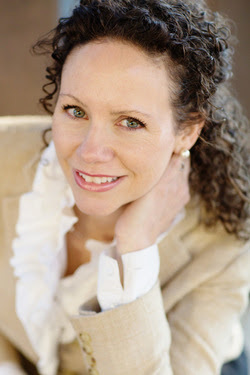 Laura Morelli earned a Ph.D. in art history from Yale University, where she was a Bass Writing Fellow and an Andrew W. Mellon Doctoral Fellow. She has taught college art history in the U.S.and at Trinity College in Rome.